Think about your current skills and hobbies. When did you learn them? For many of us, the bulk of our creative or manual skills were things we developed when we were younger, encouraged by our parents, by school, or simply a childlike passion and enthusiasm for learning. However, adults should continue to learn new skills and pick up new hobbies. Simply put, learning a skill is good for your brain, promoting healthy cognitive development and helping you stay sharp well into old age. No matter how old you are right now, you could benefit greatly from picking up one (or more!) of these skills. Music has amazing cognitive benefits and can be a great mental health booster. 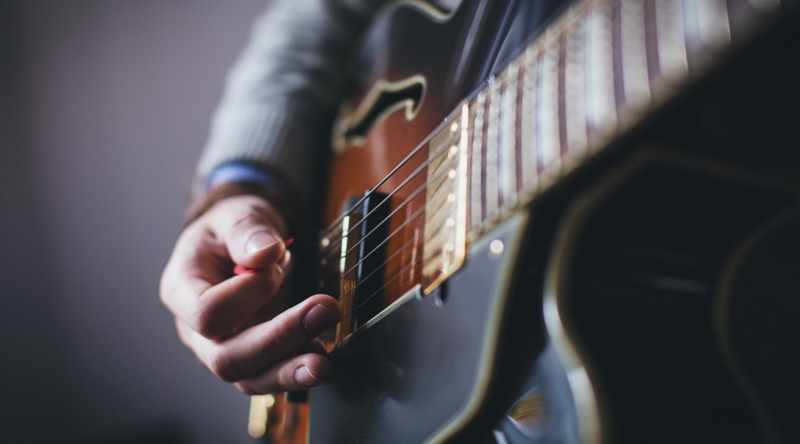 You can get some of these benefits simply by enjoying music — according to CNN, people who regularly engage with music are generally happier — but they become much more significant when you learn to play and create it. Most people would like to play an instrument, but many of us dismiss it as too difficult. There is an idea that if you didn’t learn when you were a child, it’s too late to learn as an adult, but this is a myth. It’s never too late to pick up an instrument and start learning, and the internet makes it incredibly easy to do. You can search for your ideal instrument online — try Music & Arts, for example — and also look up lessons in your area or try an online tutorial. Many people haven’t touched a paintbrush since school, which is a shame, as painting can be deeply therapeutic. Many artists report completely losing track of time when they work, engrossed in the combinations of colors and shapes. Furthermore, painting is a wonderful hobby to pick up due to the limitless possibilities in terms of medium, subject, and style. Everything is entirely up to you and, despite what you may think at first, there is no right or wrong way to do it. You can paint with watercolors, acrylics, oils, pastels, ink, and many more, and you can combine mediums in any way you want. As you work, you will find your style and the kind of things you like to paint, whether it be abstract, portraits, landscape, or still life. For the vast majority of us, clothes are something we buy in a shop without thinking much about where it came from. Our grandmothers knew how to sew, but the skill has mostly been lost ever since clothes became cheap, accessible, and disposable. However, home sewing is having a comeback right now, and it’s easy to see why. In a world where most of us are looking to be more ecologically and socially conscious, making, tailoring, and mending your own clothes is the ultimate way to support ethical fashion. You’ll need to start by investing in a good sewing machine or asking any older family members whether they have one lying around. Next, you will need to learn the basics of how to operate the machine, cut fabric, and assemble an item. YouTube channel Made to Sew has a useful series of videos for beginners, starting with smaller projects like cloth bags, as well as tutorials for several types of clothes for once you have a handle on the basics. HomeAdvisor also offers resources to help you with your sewing projects. Of course, there are plenty of other skills out there, all of them valuable and exciting. Learn a new language, pick up knitting, join a pottery class, or get into woodworking: as long as you enjoy it and get a sense of achievement and progression from it, it’ll be worth your while.